A university professor, Dr. Christine Blasey Ford, opened up Pandora's Box with her accusation supreme court nominee Brett Kavanaugh assaulted her when they were teens. As Senate Republicans rush to push Kavanaugh's confirmation through to the supreme court, the two most prestigious law schools in the country are saying "...slow down and give Kavanaugh's accuser a fair trial." At Yale Law School, Kavanaugh's alma mater, students are denouncing administrators for their rote support of Kavanaugh and are demanding changes to the culture that enables powerful elites to get away with sexual misconduct. 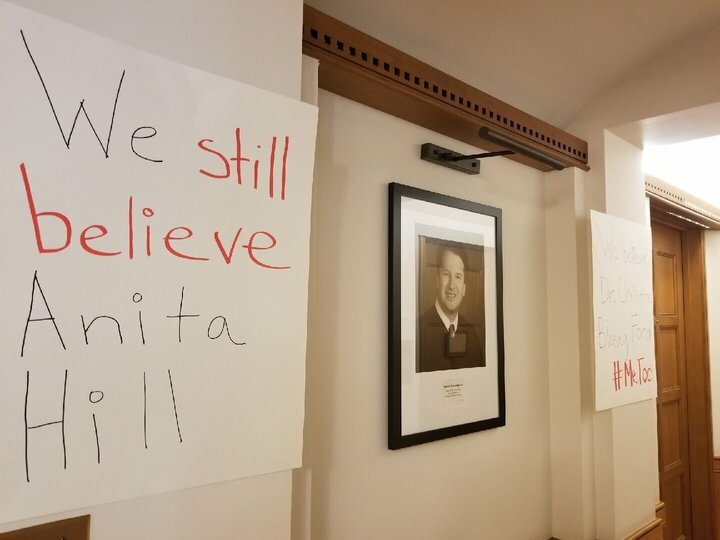 Concerned students are demanding to know how aware the school was of the conduct of another past student, Alex Kozinka, a high-profile judge many alumni clerked for and who resigned last year amid accusations of sexual harassment. Meanwhile at Harvard Law school, students wrote an op-ed in the Harvard Law Record calling for a full and fair investigation, or the school shouldn't allow Kavanaugh to teach there, and the senate shouldn't confirm him to the supreme court. He's been a lecturer at the law school since 2009. The whole nomination battle sparked a reckoning at Kavanaugh's alma mater and Harvard. Students feel betrayed by professors being aware of allegations for years against federal judges, but still funneling students to them. What it comes down to is there's been a "good old white boy" culture in both law schools for decades, and secrets are coming out about their students and professors, in this current Me Too climate. Like Pandora's Box in mythology, once secrets come out there's no putting them back.